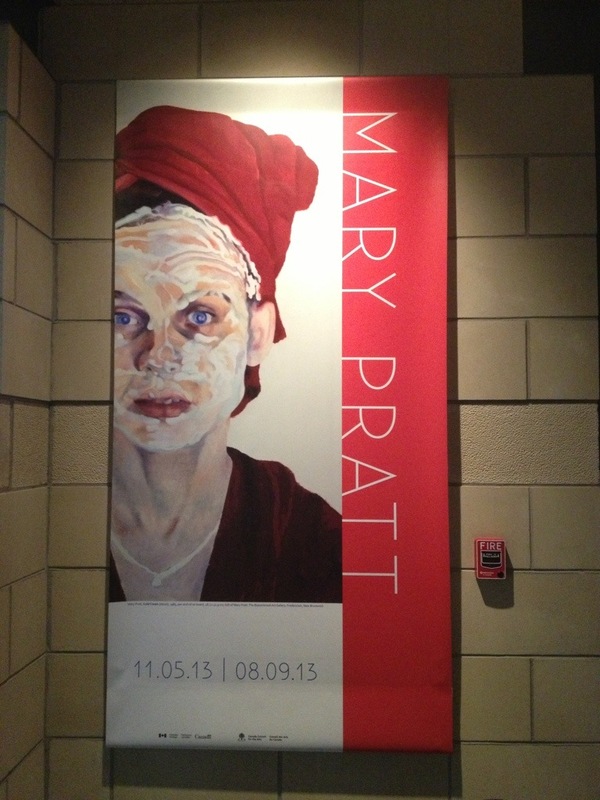 A couple of weeks ago, my girlfriends and I went to see the Mary Pratt exhibit at The Rooms. I was knee deep into house painting and renovating and getting kids adjusted and I would not have made it out of the house, were it not for a reminder text from my friend. Am I ever glad for that reminder, because the exhibit was just incredible! 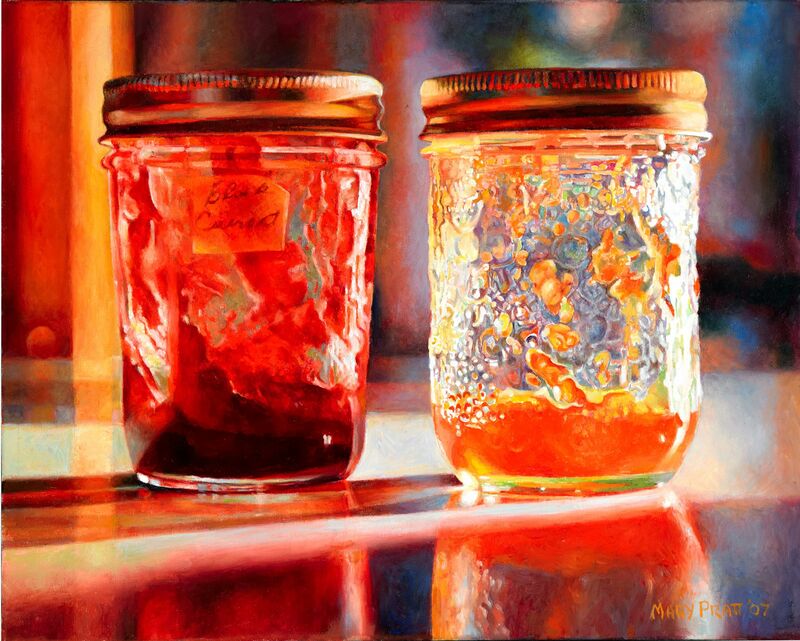 Mary Pratt’s work is truly astonishing. 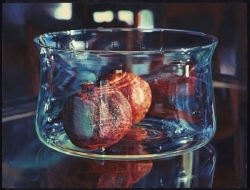 Many of her paintings are so realistic, they look as though they could be photographs. 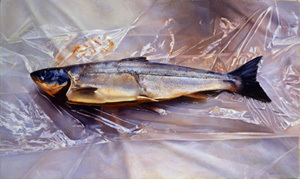 When you are viewing her paintings, it is as though there is a light shining behind them, illuminating them from behind. The jam jars was one of my (many) favourites.There was no photography allowed at the exhibit, so I found these photos online to give you an idea, although there is no substitute for seeing them in person. 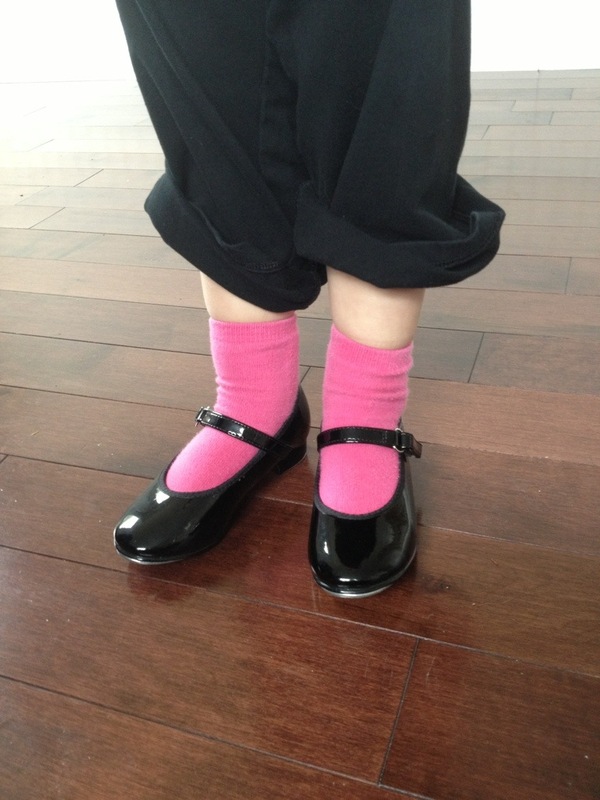 WOW – it is so amazing to think of all the talent this woman possesses! Many of her works include tin foil, plastic wrap and glass. It is just unbelievable how she is able to capture these everyday reflective items so clearly! 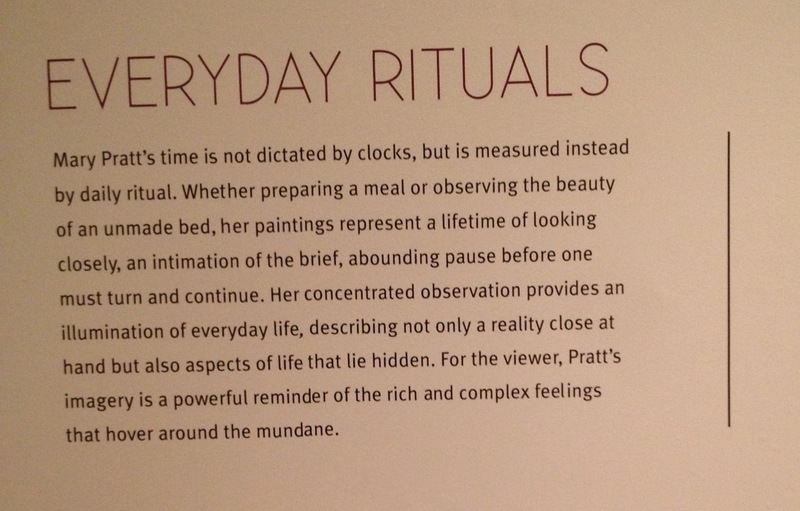 I found this quote on the National Gallery of Canada’s website talking about Mary Pratt. What really struck me was how stunning the mundane can really be. We are surrounded by ordinary, regular, mundane things/experiences every day. 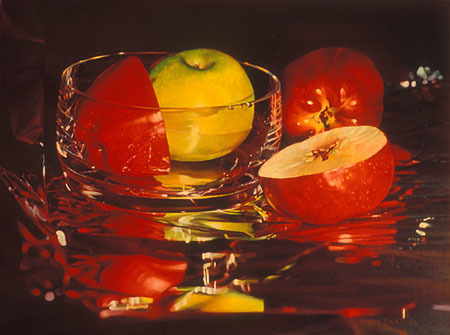 I may not be able to paint or create like Mary Pratt, but I loved this fabulous reminder to stop and appreciate the beauty of simple, everyday things. This time of year the dogberries are BEAUTIFUL. These pops of orangey-red just catch your eye all over town and I keep stopping to try and take photos. I don’t think my iphone is doing them justice – they are just so stunning in real life! 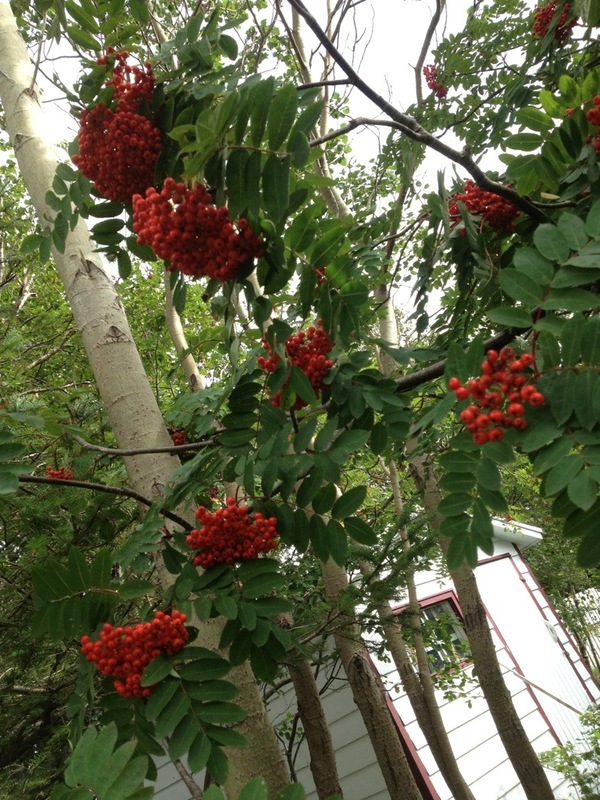 The other name for the Dogberry tree is Mountain Ash. 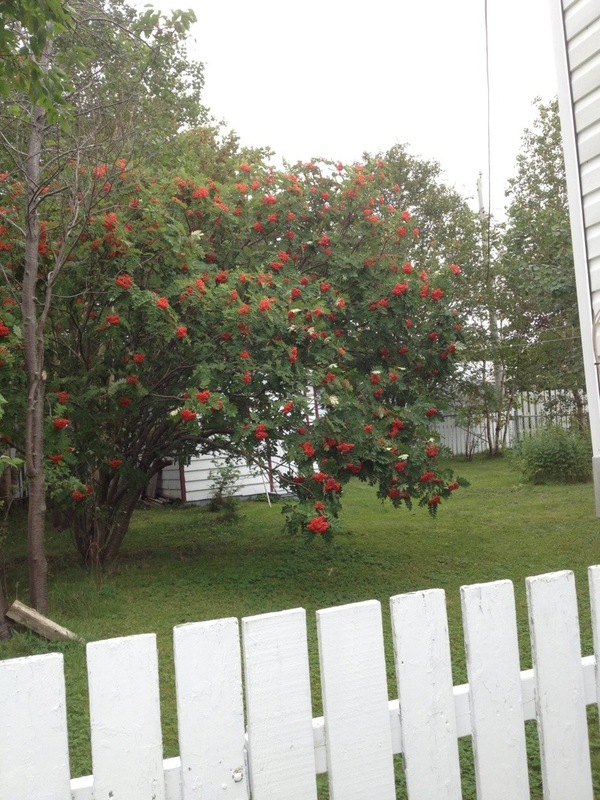 If you believe the folklore, an abundance of dogberries predicts a harsh winter (presumably to help the birds survive). My fingers are crossed that a harsh winter is not looming, but in the meantime I am loving these beautiful trees. 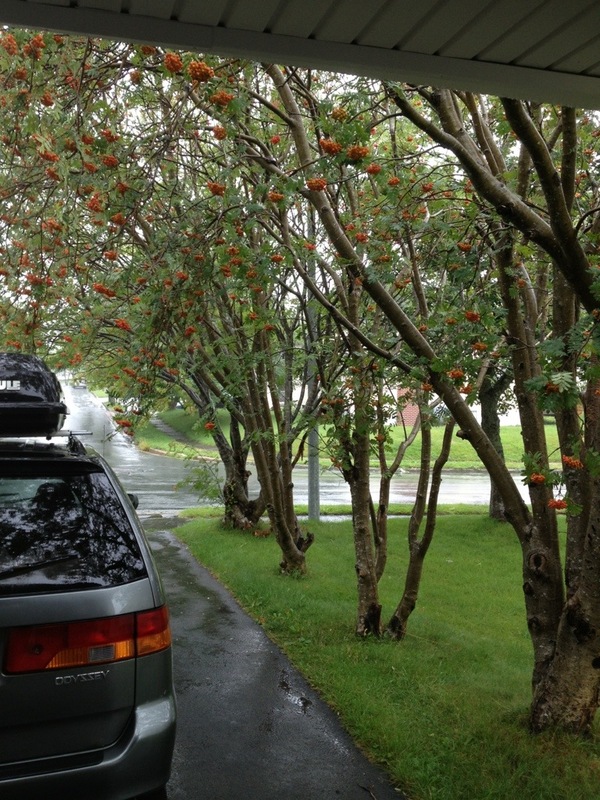 There are four Dogberry trees that line our driveway in the new digs. So pretty and welcoming. The first time we went sea kayaking in Cape Broyle, our guide told a story about a shipwreck that happened in the Cape Broyle harbour years ago. Apparently the ship was not from Newfoundland, and it hit a rock and ran aground. This rock was not on the navigational charts and the captain asked a local man why the rock wasn’t indicated on the charts. The story goes that the local man replied, “Everyone already knows it is there”. I’m not sure why I remember this story since there are days I seem to have trouble remembering my children’s names. Yet this story has stuck with me. 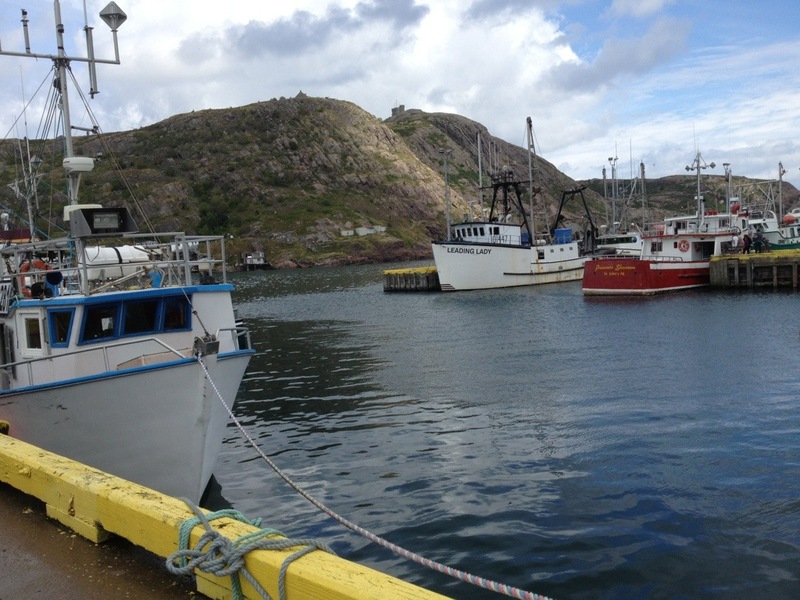 And since I have been back to St. John’s, I have been reminded of it again. It came back to mind this past week when I was looking into my son’s school bus stop. We haven’t moved into our new place yet, so I have been driving the kids to school. However, I thought if I could figure out the bus stop, he could be getting used to the bus routine and maybe meeting some new kids. I first checked the school’s website to see what I could find out. The site listed the different routes indicating the streets the bus takes on each route. Excellent. We found the route for my son but we weren’t sure where the bus stops were located or what time to be there. So I called the school and the very pleasant lady answering the phone told me she would print off the bus info and send it home. Perfect. Problem solved. Except, when my son arrived home, I was confused to see the very same info I found on the website – just the streets with no stop details. The next morning, I went into the school and the principal was out front, efficiently fielding many inquiries from students and parents. When it was my turn at the front of the line, I asked my question; “Where and when do we meet the bus?”. He asked me had I seen the kids on my street waiting for the bus? I told him no, we haven’t moved in yet, I just wanted to know the bus stop location so we could get our son there at the designated time. The principal wanted to help me, but it turns out he didn’t know either. He told me he would have to find some kids in the neighbourhood to ask where the bus stop was. I wondered was there somewhere to call to find a list of stops and times? “No,” he told me – “The kids just know where the stops are.” I couldn’t help but inquire further, “Well, how do the those kids know where to go?” He replied that they know because they have had older brothers and sisters that had gone to the school for years. 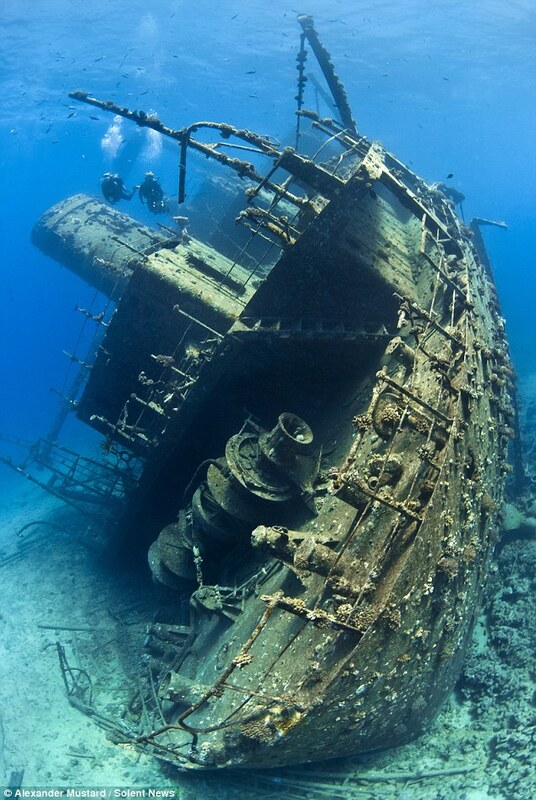 Well – you can understand my reflection on the Cape Broyle shipwreck story. I was initially confused and a bit surprised that no more details were available. Obviously this system has been working here, so maybe I am overthinking things? Is this just me and my need to know details??? How does this seeming lack of organization & communication work? Surely, they have new students transferring in. How do they figure out where to go? I guess everyone already knows where the bus stops are. Either way, we drove to the new house this morning before school to see what we could find out on our own (feeling a little indignant to have to figure this out in such a haphazard way). As we drove up our street we started to laugh. There were several kids lined up on the curb in front of our house. The bus stop is RIGHT IN FRONT OF OUR HOUSE. I mean, the kids were waiting in our driveway. Maybe a lower key approach works after all. The house closing took longer than we thought it would. The two other times we bought a house in Ontario – they both closed on the closing date. Apparently that’s not how it always happens here and we ended up waiting an extra few days to get the keys. 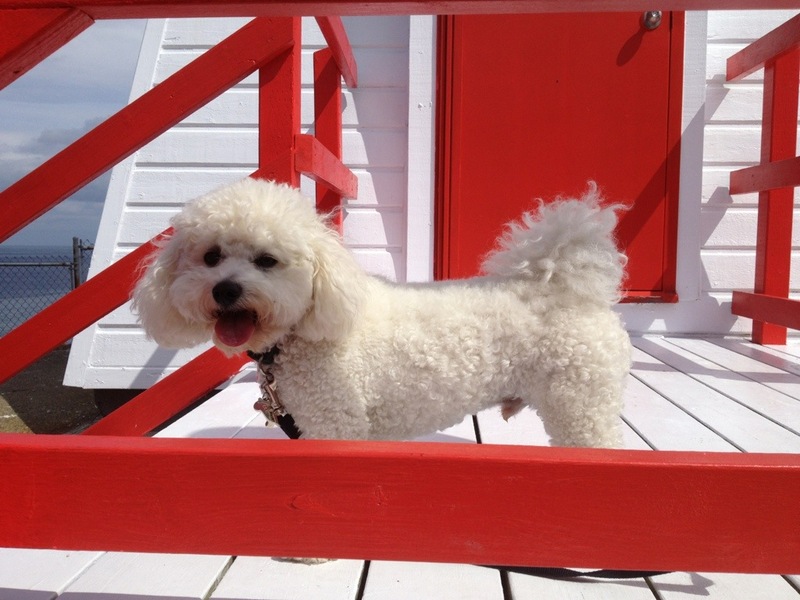 While we were impatiently waiting one day last week, the kids and I took advantage of the extra time and took Rocky for a walk to Fort Amherst. 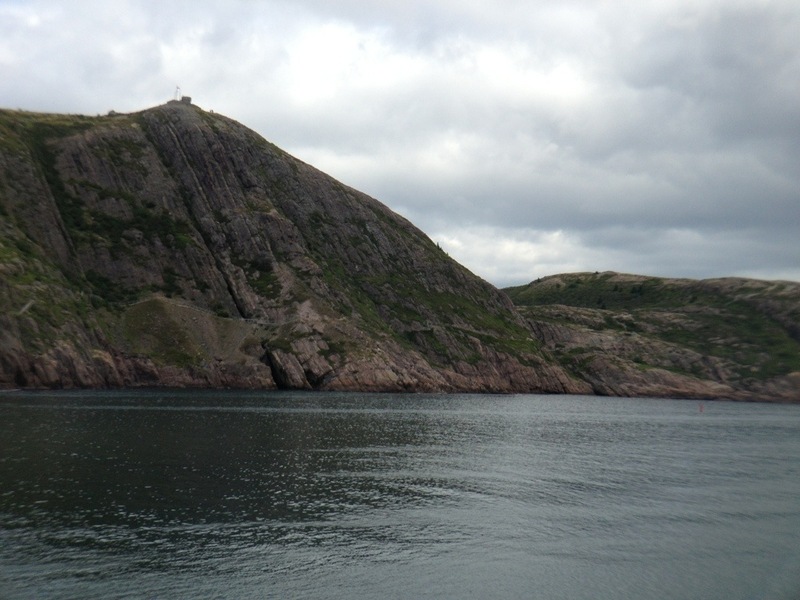 Fort Amherst is on the other side of the narrows from Signal Hill. 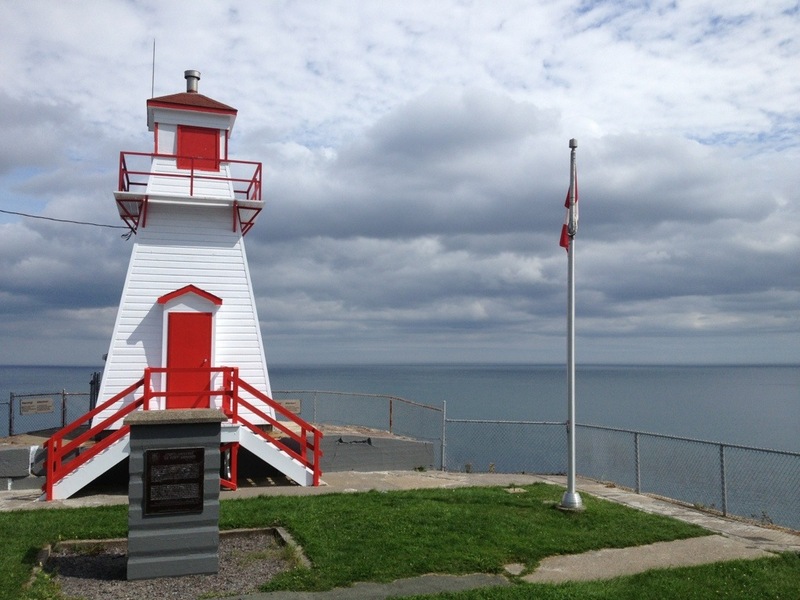 When you are standing on Signal Hill you can look across the narrows (the entrance to the St. John’s Harbour) and see the Fort Amherst Lighthouse. 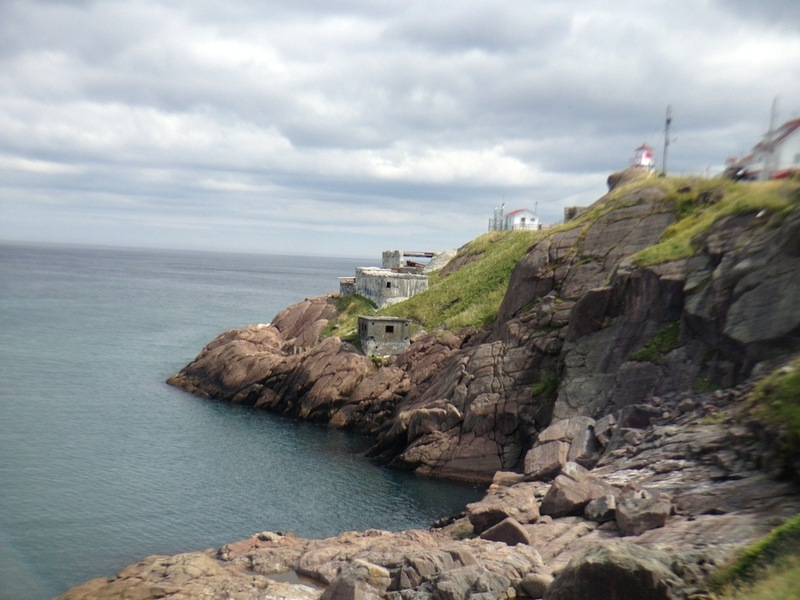 You can see it from the Signal Hill side in this post about the Signal Hill Trail. See those concrete boxy structures on the rocks on the picture below? That’s where the canons were positioned during World War II. You used to be able to walk down there but I guess they are not safe these days and the access has been fenced off. Those gun turrets are where my honey proposed to me. When we finally unpack and I find our engagement photos, I’ll post a couple of them That wasn’t yesterday! Rocky was thrilled to be out with us. It’s also difficult to get him to smile on cue. 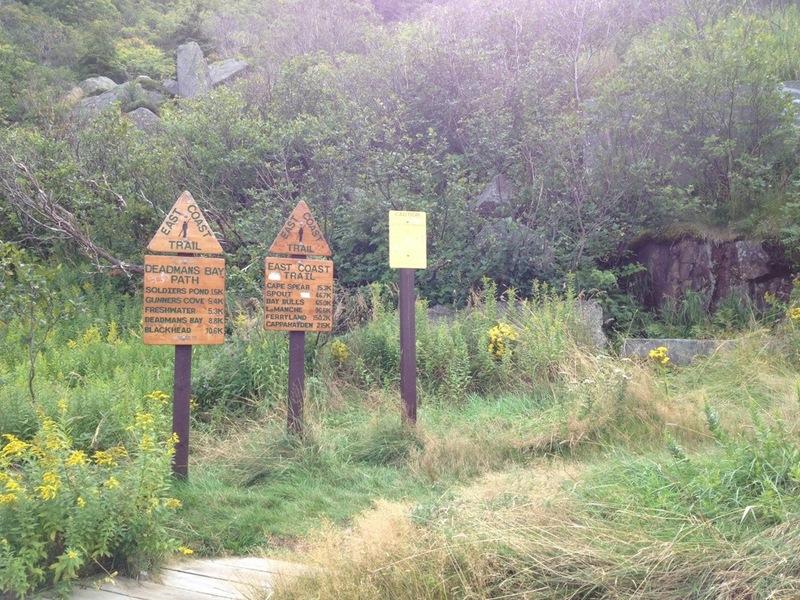 It looks like there are lots of trails that start at Fort Amherst. I have yet to explore them but hope to at some point. Right now we are totally into renos and painting and ensuring kids are adjusting to school. So hiking is sadly not at the top of my list, but I will get back to it. 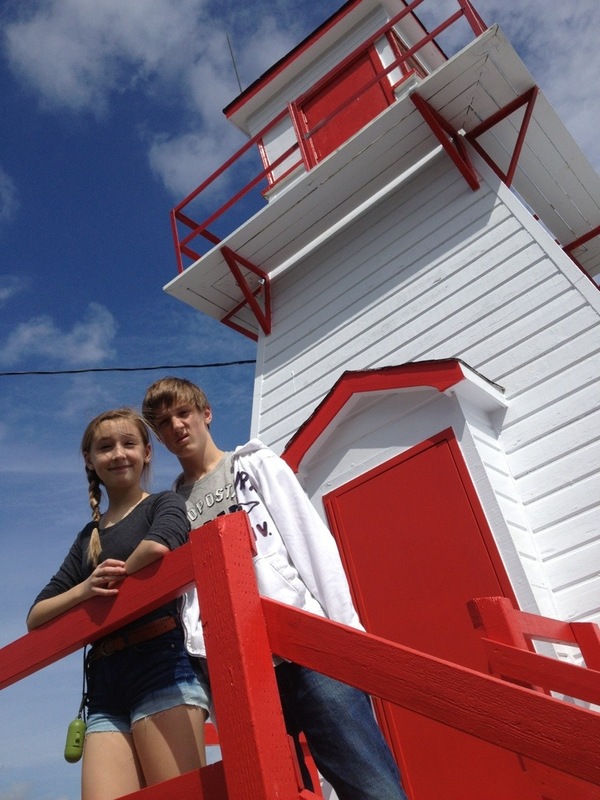 The walk to Fort Amherst is another one of those places that just make you so happy to be in Newfoundland! So picturesque! Even when your models aren’t co-operating and making silly faces. 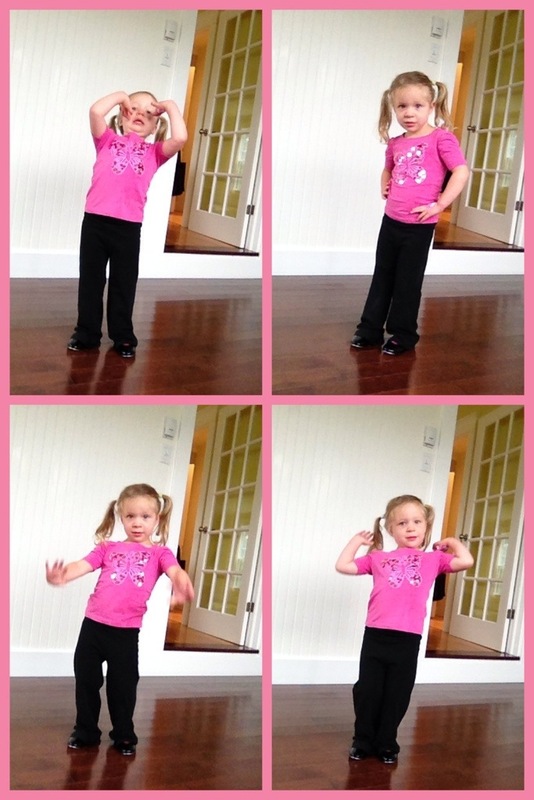 According to the ballerina in the family, Newfoundland Blueberries have more antioxidants than other blueberries. Someone told her this and I, for one, believe her. 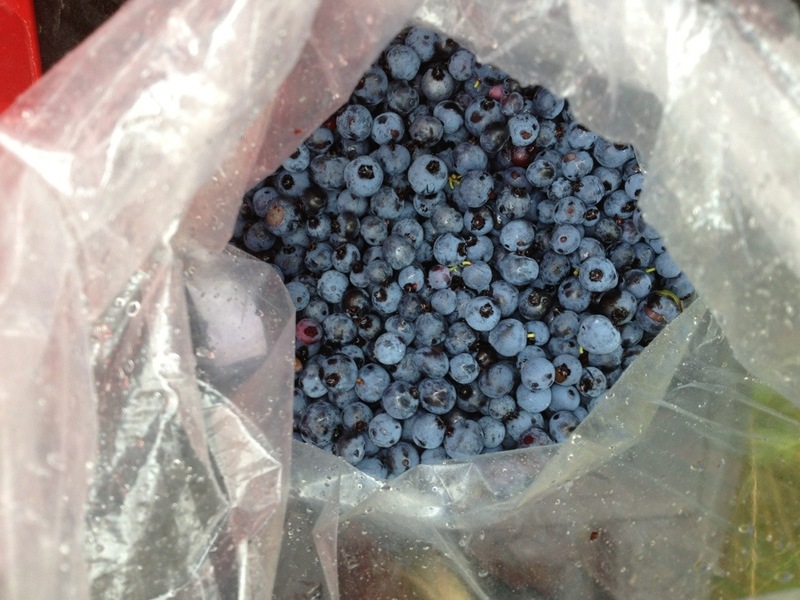 I had forgotten how flavourful fresh Newfoundland Blueberries are! 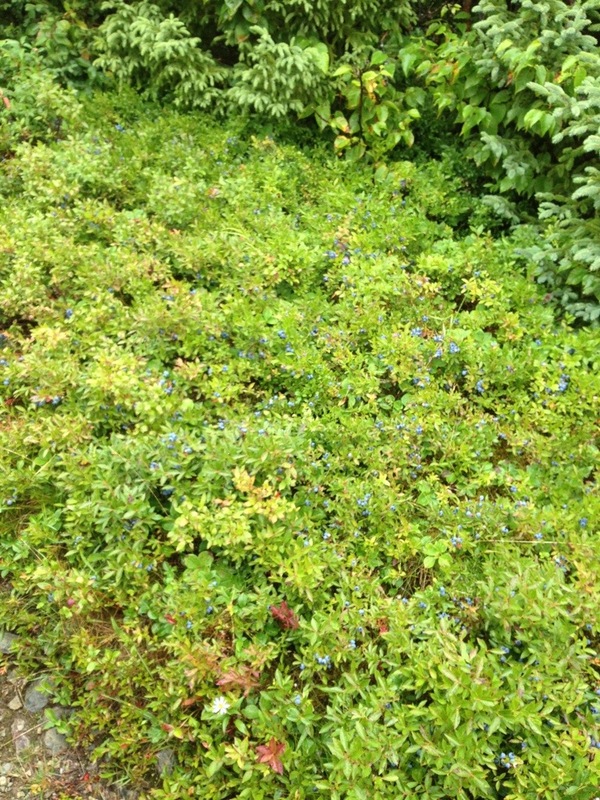 On our travels last weekend, we came across several patches of blueberries and although we hadn’t planned on berry picking we just had to stop and pick some. 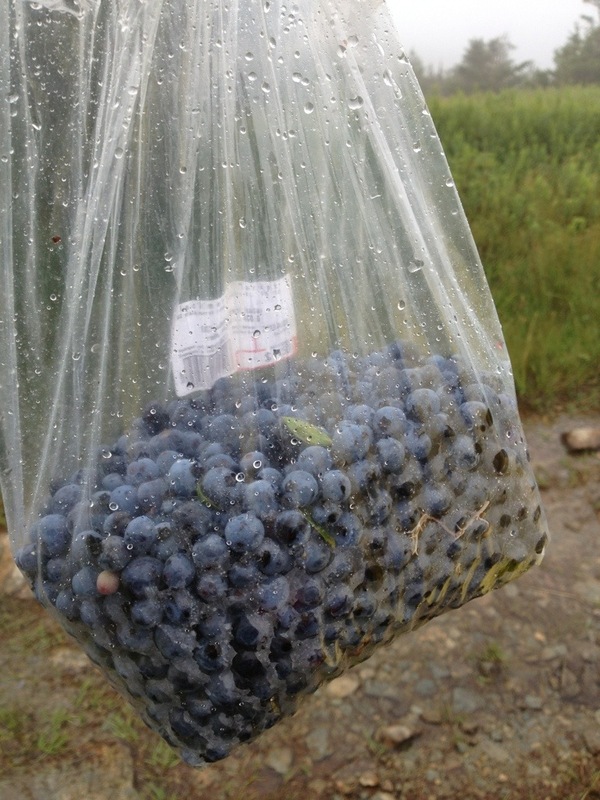 It was cold and damp, so our fingers were chilled and we didn’t pick the berries very “clean” but wow – were they ever yummy! Like I said, I had forgotten just how incredible they really are. We were sorry we couldn’t spend more time and pick more – there were SO MANY of them! Next time I’m bringing a bucket and I plan to fill it. Yum!